28/09/12 -- Soycomplex: Nov 12 Soybeans closed at USD16.01, up 30 1/4 cents; Jan 13 Soybeans closed at USD16.02 3/4, up 31 1/2 cents; Oct 12 Soybean Meal closed at USD487.00, up USD13.90; Oct 12 Soybean Oil closed at 52.18, up 7 points. 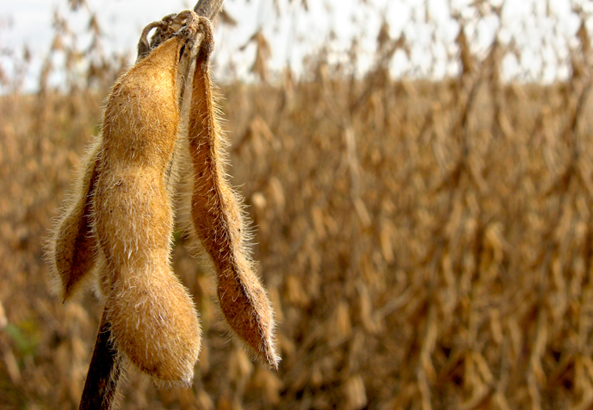 Beans rallied sharply after a tentative opening on the back of a bearish, for soybeans at least, USDA report. Funds finished up buying an estimated 13,000 soybean contracts on the day as corn locked in limit up. 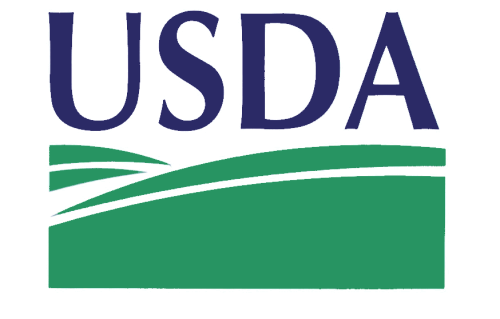 The USDA came out with a 2011/12 closing US soybean balance of 169 million bushels, 37 million above the average trade guess, due to an increase in 2011 production. The latter came as a result of a 0.4 bushels/acre rise in last year's yields and an increase in harvested acreage. Strong demand for US soybeans continues, with the USDA reporting the sale of 180,000 MT to China under the daily reporting system to add to yesterday's 110 TMT and 140 TMT sold to "unknown" on Wednesday. Soybean sales for 2012/13 could hit 80% of the USDA's targeted level by next week. The IGC estimated world soybean production up 8% in 2012/13 to 256 MMT on the back of the much touted sharp recovery in South American output, for which they noted "favourable weather conditions will be critical, and even at this level of output, stock levels are still to fall year on year." World ending stocks, which are seen falling by more than a third in the past two years, were placed at just 22 MMT in 2012/13. Despite today's rally Nov 12 beans were 19 cents lower on the week, Oct 12 meal was up USD2.50 versus last Friday. Corn: Dec 12 Corn closed at USD7.56 1/4, up 40 cents; Mar 13 Corn closed at USD7.59 1/2, up 40 cents. Funds were featured buyers of an estimated 28,000 contracts on the day as nearby contracts soared to limit up moves. The USDA cut US corn ending stocks below one billion bushels to 988 million versus the 1.166 billion expected. That was sufficient motivation to get fund money flooding back in for corn, despite hard evidence of demand destruction - for US corn at least. South Korea's MFG bought 197,500 MT of South American origin corn for Feb/March shipment, South Korea's KFA bought 55 TMT South American origin corn for March shipment and another South Korean buyer booked 69 TMT of optional origin corn for Feb/March shipment. The IGC cut 5 MMT off their global corn production estimate to 833 MMT, with ending stocks seen 2 MMT lower than last month to 118 MMT. Corn production in the EU-27 was trimmed almost 5 MMT from last month to 55 MMT, which is more than 2 MMT below the USDA's estimate. US corn production was left unchanged from last month at 275 MMT, which is 12.4% down on last year, although 2.5 MMT more than the USDA currently project. Separately, Coceral estimated the EU-27 corn crop at 56 MMT. For the week overall Dec 12 corn was 8 cents higher and Mar 13 was 8 1/2 cents firmer. Wheat: Dec 12 CBOT Wheat closed at USD9.02 1/2, up 47 cents; Dec 12 KCBT Wheat closed at USD9.27 1/2, up 49 1/4 cents; Dec 12 MGEX Wheat closed at USD9.58 1/2, up 44 1/4 cents. Funds were said to have been net buyers of around 7,000 Chicago wheat contracts on the day. The USDA put Sep 1 wheat stocks at 2.1 billion bushels, 177 million lower than anticipated, due it would seem to increased usage of wheat in feed rations due to corn tightness. The IGC cut Australia's wheat crop to 22.5 MMT, Europe's to 131.4 MMT and Russia's to 39 MMT, taking world production down 5 MMT to 657 MMT, with a similar drop in 2012/13 ending stocks to 175 MMT, which is 1.7 MMT less than the USDA currently predict. Looking ahead: "Planting of northern hemisphere winter grain is well underway and the wheat area is tentatively forecast 2% higher for 2013/14, driven by both firm prices and a projected recovery from the weather-related damage to crops in 2012/13," they said. Despite today's sharp gains, on the week as whole wheat posted only very minor gains. For the week Dec 12 Chicago wheat was up 5 1/4 cents, with Kansas wheat up 1 1/4 cents and Minneapolis up 3/4 of a cent. 28/09/12 -- EU grains closed sharply higher with Nov 12 London wheat up GBP4.80/tonne at GBP202.75/tonne and Nov 12 Paris wheat up EUR7.75/tonne to EUR265.75/tonne. For the week that still means that Nov 12 London wheat lost GBP3.65/tonne whilst Nov 12 Paris wheat gained EUR2.00/tonne. Wheat was lower in early trade, but did a sharp about turn after the USDA's Sept 1st stocks report placed US corn inventories below one billion bushels at 988 million, the lowest end of marketing year stocks in eight years. US wheat stocks were also estimated lower than anticipated at 2.1 billion bushels versus the expected 2.28 billion. Paris wheat was also supported on the week, relative to London wheat, by a weak euro and a strong showing in this week's Egyptian tender. The UK market is developing not just a two tier look, but a multi-tier look, with all sorts of low grade grain being offered around. Growers are frequently less than impressed with the kind of allowances that merchants and end-users have in mind for what would be considered "screenings" in any other year. "Do you know anyone who'd take 54kg bushel weight wheat?" I was asked today. My suggestion that he tried leaving it out for the binmen on Monday met with the response that he'd already tried that and they wouldn't take it. Coceral revised their ideas on the UK wheat crop down to 13.6 MMT from 15.25 MMT previously, although it was all the way back in June that they came out with that estimate. Yields were pegged at 6.81 MT/ha, which ties in with the HGCA's 6.8-7.2 MT/ha, with the "expectation that the final value is towards the lower end of this range." Coceral's number falls below recent estimates from Strategie Grains (14.0 MMT) and Toepfer (13.8 MMT), which on the face of it would seem bullish. It probably is, if you're one of the lucky few with 72kg/hl bushel weight wheat in the barn. Exports are clearly going to take a very serious knock this season, and what sales are already on the books I imagine will have the sellers actively looking to wash them out, or switch to other countries of origin. Imports are also evidently going to be much higher than in a normal year too. Separately the IGC cut 5 MMT off it's world wheat production and 2012/13 ending stocks estimates. They also trimmed global corn output by a similar amount, and too 2 MMT off this season's carryout total. Downward revisions for Russian and Australian wheat, together with EU wheat and corn were behind the revisions, they said. 28/09/12 -- The USDA stocks numbers threw up their traditional surprise, only this time it was a bullish one for corn with Sep 1 stocks seen falling below a billion bushels which is 178 million less than the average trade guess of 1.166 billion. Corn subsequently rallied to around 20 cents higher vs last night's close having been 10 cents lower heading into the report. Soybean stocks conversely came in above the expected 132 million bushels at 169 million which was 17 million up on the highest trade estimate. Wheat production was bang in line with expectations at 2.269 billion bushels, although stocks of 2.104 billion were below the lowest trade estimate and 178 million under the average trade guess. 28/09/12 -- The overnight electronic market sees soybeans 2-3 cents weaker, with corn down 8-10 cents and wheat 2-4 cents easier. The trade is nervous ahead of today's USDA stocks report, and possibly with good reason. Given the advanced rate of this year's harvest then the chance of old crop 2011/12 being overstated with some new crop included is probably pretty high. Corn in particular looks wobbly. It could get the biggest boost from new crop inventories being mixed in with old crop, just as it did last year. Add to that yesterday's piss poor weekly export sales of less than 400 tonnes, and all of a sudden the future doesn't look quite so rosy for corn. Beans are also under pressure for similar reasons, although yesterday's robust weekly export sales of 800 TMT takes the US 2012/13 marketing year-to-date commitments to 77.35% of the USDA's projected total for the entire three week old season! At the rate of 800 TMT/week, the US will hit the USDA's full MY target of 28.7 MMT worth of exports a little over 8 weeks from now. Wheat is bumbling along OK, but exports plus outstanding sales for that only come to 39% of the USDA's full marketing year target compared to the normal pace of 57%. Algeria have just bought 700 TMT of what will probably be French wheat in their largest purchase of the season so far. Taiwan has bought 50 TMT of US wheat in a tender. The Buenos Aires Cereals Exchange say that corn planting in Argentina is around 10% complete. Farmers in the north of the country have started harvesting wheat, they added. In Brazil's top wheat state of Parana, which grows around half of the national crop, wheat harvesting is said to be around 40% done with farmers saying that so far they are pleased with the yield and the quality of the crop. 27/09/12 -- Soycomplex: Nov 12 Soybeans closed at USD15.70 3/4, down 2 1/4 cents; Jan 13 Soybeans closed at USD15.71 1/4, down 3 cents; Oct 12 Soybean Meal closed at USD473.10, down USD2.00; Oct 12 Soybean Oil closed at 52.11, up 46 points. Weekly export sales for beans came in at 799,500 MT, at the top end of the 650-800 TMT expected and a six week high. China took 189,700 MT of that along with 217,100 MT going to unknown. In addition, the USDA reported a further 110,000 MT sold to China under the daily reporting system. The average trade guess for tomorrow's USDA Sep 1st ending stocks report is 132 million bushels, with estimates ranging from 115–152 million. China once again sold all the 400 TMT of soybeans it offered up to domestic crushers at it's bi-weekly auction. Corn: Dec 12 Corn closed at USD7.16 1/4, down 8 1/2 cents; Mar 13 Corn closed at USD7.19 1/2, down 9 cents. Fund selling was estimated at 9,000 contracts on the day as corn fell to a 3-month low. Weekly export sales of just 368 MT, yes less than four hundred tonnes, were appalling, falling well below even the modest trade expectation for sales of 150-250 TMT. There has only been one week with a lower net sales total since 1996, and that was ten weeks ago. Price does indeed seem to be rationing demand for corn. The average trade guess for US corn ending stocks in tomorrow's report is 1.166 billion bushels, with estimates ranging from 0.887-1.261 billion. The trade will be mindful of last year's bearish surprise for corn in this report. Wheat: Dec 12 CBOT Wheat closed at USD8.55 1/2, down 13 3/4 cents; Dec 12 KCBT Wheat closed at USD8.78 1/4, down 16 1/4 cents; Dec 12 MGEX Wheat closed at USD9.14 1/4, down 15 1/4 cents. Fund selling was placed at 4,000 on CBOT wheat which slid to a 2 1/2 month low. Weekly export sales of 426,000 MT were in line with trade ideas of 400-550 TMT. Wheat sales are chugging along, but at 39% of the USDA's full marketing year target lag the normal pace of 57%. The trade will be hoping for a stronger performance in the second half of the season, once cheaper Black Sea wheat dries up, although losing out to France and Romania in this week's Egyptian tender underlines the fact that there are also other cheaper sellers out there. MDA CropCast cut their Australian wheat production estimate by 2.4 MMT to 21.6 MMT, down 26% on last year. The average trade guess for Sep 1 wheat stocks in the USDA report tomorrow is 2.281 billion bushels. 27/09/12 -- EU grains ended lower with Nov 12 London wheat GBP2.85/tonne easier at GBP197.95/tonne and with Nov 12 Paris wheat EUR3.25/tonne weaker at EUR258.00/tonne. The markets were on the defensive, retreating further from recent highs, with Nov 12 London and Paris wheat both closing at their lowest levels in more than a month, nervous ahead of a stocks report from the USDA due tomorrow. French wheat did derive some support from a strong showing in this week's Egyptian tender and the weak euro, which was under pressure on ideas that a Spanish bailout request may not be too far away. The harvest in the Black Sea is drawing to a close, with Ukraine saying that it had harvested 30 MMT of grains off 75% of the planted area as of Sep 21. It's mostly corn that is now left standing, with production prospects in the west looking better than last year, according to local agronomist Mike Lee. Russia's harvest meanwhile currently stands at 65 MMT off 79% of the planted area, including 38 MMT of wheat and 14 MMT or barley. Kazakhstan's grain harvest is more than 95% complete at 13.8 MMT. Ukraine has exported 4.7 MMT of grains so far in 2012/13, an increase of 63% on this time last year. Of that total 2.4 MMT is wheat (up 78%), 1.1 MMT barley (down 28%) and 1.3 MMT corn. Black Sea plantings are said to be progressing well, with better moisture levels than a year ago. Ukraine winter grain plantings are currently at 4.1 million hectares versus 3.76 million this time last year. Russian farmers plan to sow 16.8 million ha of winter grains this year, up 4% from 16.1 million last year. Winter grains have so far been planted on 10.84 million ha versus 9.45 million this time last year. Brussels issued a respectable 365 TMT of soft wheat export licenses this week, bringing the year-to-date total to 3.29 MMT. In what seems to be a cost saving exercise, Morocco announced that it was reducing the subsidy paid to local millers to buy imported wheat. That may mean domestic bread prices rising, and could also affect demand for foreign wheat, although the country is said to have an annual wheat deficit of around 3-4 MMT. 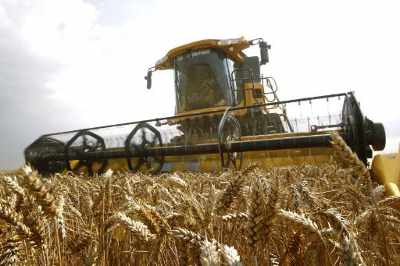 The HGCA said that the UK wheat harvest is 98% complete, with 15% of the spring barley crop and 20% of spring OSR still left in the fields. They cut their average wheat yield estimate slightly from 6.9-7.2 MT/ha to 6.8-7.2 MT/ha, well down on the 5-year average of 7.8 MT/ha. "The expectation (is) that the final value is towards the lower end of this range," they said. "Yields have been very variable but generally much lower than average by 10-15%," they added. Winter barley yields are thought to have fared better, coming in slightly ahead of the 6.3 MT/ha 5-year average at 6.4-6.6 MT/ha. Spring barley yields are a bit worse than normal at 5.1-5.3 MT/ha, versus the 5-year norm of 5.4 MT/ha. 26/09/12 -- Soycomplex: Nov 12 Soybeans closed at USD15.73, down 38 1/2 cents; Jan 13 Soybeans closed at USD15.74 1/4, down 40 cents; Oct 12 Soybean Meal closed at USD475.10, down USD10.10; Oct 12 Soybean Oil closed at 51.65, down 144 points. This was the first close below USD16/bu for a front month on beans since early July, it was also the lowest close for front month meal since the same. Fund selling was heavy in beans at an estimated 12,000 contracts, as they continue to liquidate their long ahead of Friday's stocks report. That is expected to show US soybean inventories at the end of the 2011/12 marketing year of around 131-132 million bushels, very similar to the USDA's August estimate of 130 million, and the tightest in eight years. 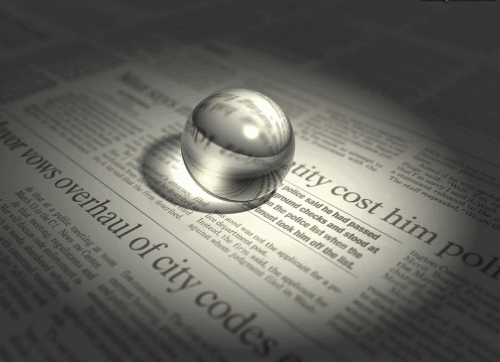 European economic woes are back on the front pages, adding to a bit of "risk-off" mentality. The USDA did confirm a sale of 140 TMT of US soybeans to "unknown" which barely caused a ripple against the outflowing tide of fund money. Estimates for tomorrow's weekly export sales report for beans are 650-800 TMT, against last week's 717,800 MT. The trade will be looking to see if there's any evidence of the rumoured sales to China made on this recent price dip. Corn: Dec 12 Corn closed at USD7.24 3/4, down 19 cents; Mar 13 Corn closed at USD7.28 1/2, down 19 cents. Funds were also heavy sellers on corn, dumping an estimated 15,000 of their length ahead of Friday's USDA stocks report, maybe remembering that corn posted a limit down move last year when corn stocks came in well above trade expectations. This was also the lowest finish for a front month since early July. Reuters report that three US livestock companies in North Carolina are to import 750 TMT of Brazilian corn in 2012/13, with the first cargo due to arrive next week. The US are expected to import more corn this season than since before WWII. Demand for US corn is also taking a hit from the ethanol sector. US ethanol production fell to 809,000 barrels per day for the week ended Sep 21 - the lowest level in two months. A Minnesota ethanol plant became the latest US facility to be mothballed due to poor margins earlier this week. Martell Crop Projections say that the USDA's estimate of a record 200 MMT Chinese corn crop this year may still be too low. "Very generous rains promoted ideal growing conditions most of the summer season. A late August satellite vegetation image confirms a very high yield in the key Northeast China corn provinces," they say. Trade estimates for tomorrow's weekly export sales report are a modest 150-250 TMT against the 489,000 MT reported last week. Wheat: Dec 12 CBOT Wheat closed at USD8.69 1/4, down 17 1/4 cents; Dec 12 KCBT Wheat closed at USD8.94 1/2, down 16 1/2 cents; Dec 12 MGEX Wheat closed at USD9.29 1/2, down 12 3/4 cents. Fund selling was placed at around 3,000 Chicago wheat contracts on the day. Egypt bought 300 TMT of French/Romanian wheat in a tender, with Us wheat proving too expensive once more. Russian wheat was also out on price and Ukraine wheat wasn't even offered. US wheat was around USD20/tonne to expensive when freight is factored in. "Drought-relieving rains have begun in the United States, the morning satellite image revealing clusters of strong thunderstorms in Kansas, Missouri and Illinois. A wet period is shaping up the next 3 days in those same areas. 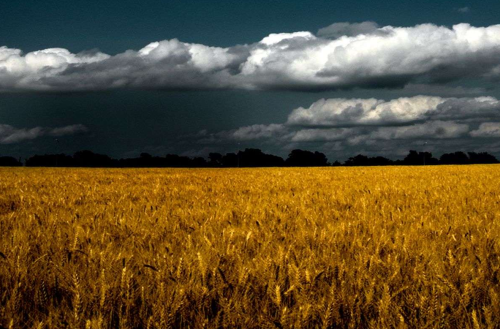 Kansas, Oklahoma and Texas wheat farms are expecting extremely heavy rainfall in the 3-day forecast that would increase field moisture for winter wheat planting. Tropical Storm Miriam in the eastern Pacific Ocean is expected to spread a swath of heavy moisture up into the US Southern Great Plains," say Martell Crop Projections. Trade estimates for tomorrow's weekly export sales report are 400-550 TMT, against the 489 TMT sold last week. 26/09/12 -- EU wheat closed mostly lower on the day, with Nov 12 London wheat down GBP3.30/tonne to GBP200.80/tonne and Nov 12 Paris wheat unchanged at EUR261.25/tonne. Other old crop Paris contracts were EUR0.25-0.50/tonne lower. The market went for a late bath as America came in sharply weaker in afternoon trade. Paris wheat fared better than it's London counterpart due to the weak euro as trade unions held a general strike in Greece and the Bank of Spain said that the Spanish economy had continued to shrink at a "significant rate" in Q3 of 2012. Fund money seemed to want to book profits and exit grains ahead of Friday's upcoming USDA stocks and US wheat production numbers. Who can blame them after last year's surprise Sep 1 corn stocks came in above even the highest trade estimate? This year's corn harvest is running at a record early pace, so the potential for more new crop to wheedle it's way into Sep 1 old crop stocks is clear. As has been witnessed many times, if fund money wants out then the market is only going one way whatever the fundamentals say. Egypt's GASC bought 300 TMT of mostly French wheat in today's tender. With the latter winning 180 TMT of the business at levels around USD347/tonne. Romania also got a slice of the cake with two cargoes at USD350/tonne, making it a European clean sweep. Only one cargo of Russian wheat was only offered at USD372/tonne. So Russia do indeed appear to have regulated themselves, Ukraine wheat wasn't offered at all, and US wheat came in at a best price of USD356/tonne, and with freight premium of more than USD9/tonne over French origin. Talk that Australia's wheat crop may fall below 20 MMT this year may have been exaggerated. At home, Crisp Maltings report that "despite a larger planted area, Scotland will produce a malting barley crop considerably smaller and of lower quality than 2011. Concern over the final size of the crop are such, that a considerable quantity of imported malting barley (mainly ex Denmark) has been contracted for shipment to maltings and stores in Central/Southern Scotland and the Borders." 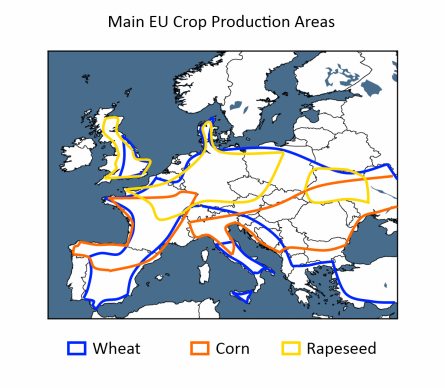 With strong incentives for UK growers to plant wheat and/or rapeseed for the 2013 harvest, they note that "we can only expect a considerable reduction in EU malting barley production next year, nor are we going to be able to rely on a large carryover of crop 2012 barley in France and Scandinavia." Consequently January 2013 malting barley, which was a EUR20/tonne premium in over January 2014 late July, has now switched around to a EUR11/tonne discount as of tonight's close. 26/09/12 -- The overnight markets are lower, with beans down 17-18 cents, wheat down 6-9 cents and corn around 5 cents easier. At USD15.94, front month Nov 12 beans are now well below USD16/bu, a level they have been flirting with breaking and holding below all week. Is today going to be the day that they manage it? It could be, given that we have a USDA report coming up, the US harvest is well advanced and that funds still hold a chunky long position thought to be in excess of 200,000 contracts despite a bit more liquidation in the past week. (The latest official figures are as of last Tuesday night's close). We've got the USDA's Sept 1 stocks report coming out on Friday, supposedly the final numbers for the 2011/12 season for corn and soybeans, with the trade expecting the lowest estimates for both in eight years. However, with both harvests well ahead of normal there has to be a possibility that the USDA may get some new crop mixed up with old crop on Friday, particularly for corn. This was exactly what happened a year ago, when Sept 1 2011 corn stocks were estimated at 1.128 billion bushels, when just about everybody was expecting a sub-one billion number. Back then the USDA figure was higher than even the highest trade estimate, and corn subsequently closed down the then new 40 cent daily limit. Subsequently, the USDA's higher than anticipated estimate was blamed on new crop corn stocks being mixed with old crop. Last year the corn harvest had barely begun on Sept 1, this year it was already 10% complete, so clearly there is some potential for an even larger mix-up this time round. Before that report comes out we have Thursday's weekly export sales to look forward too. Recent reports have had corn sales floundering, will that continue to be the case even with prices almost a dollar below the recent highs? Quite possibly. 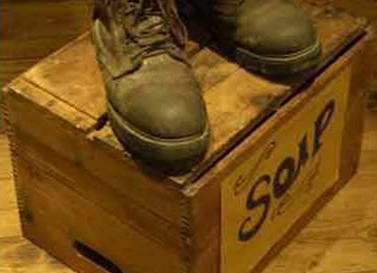 Will there be any sign of the rumoured 5-10 cargoes of soybeans sold to China this past week? Quite possibly too. Wheat sales have been bumbling along OK thank you very much, without pulling up any trees. There maybe won't be much change on that front either. In other news, Egypt are back in the market tendering for wheat, this time for Dec 1-10 shipment, with the results expected this afternoon. It will be extremely interesting to see what origins are offered and at what prices. I don't see US wheat threatening to trade into there just yet though. The Chicago Tribune report that floor traders on the CBOT are to hand in a petition to the CME Group asking them to stop the almost 24-hours/day trading that they have recently switched to. Talk that Australia's wheat crop may end up less than 20 MMT is gathering credence (except with the USDA of course). 25/09/12 -- Soycomplex: Nov 12 Soybeans closed at USD16.11 1/2, up 1 1/2 cents; Jan 13 Soybeans closed at USD16.14 1/4, up 3 1/4 cents; Oct 12 Soybean Meal closed at USD485.20, up USD3.60; Oct 12 Soybean Oil closed at 53.09, down 67 points. As "Turnaround Tuesdays" go this was a quiet and modest affair, due perhaps to only light fund buying, placed at around 2,000 soybean contracts on the day. With the US harvest progressing to 22% done as of Sunday night, there's plenty of talk of better than feared yields, and the potential for the USDA to increase production estimates in the Oct 11 WASDE report. Before that we get the Sept 1 stocks report on Friday, with trade estimates for beans ranging 115-152 million bushels, with the average guess around 131-132 million. Brazilian plantings are just getting underway, with rains finally moving north into the centre and west of the country. The trade is conscious of the anticipated bumper production from South America in 2013. Oil World estimated the Canadian canola crop at 15.0 MMT, down 0.7 MMT from their previous estimate, but up from 14.46 MMT a year ago. Exports are however seen falling to 7.85 MMT from 8.70 MMT a year ago. Corn: Dec 12 Corn closed at USD7.43 3/4, down 1 cent; Mar 13 Corn closed at USD7.47 1/2, down 1 1/4 cents. Funds were said to have been net sellers of around 3,000 corn contracts on the day. Trade estimates for Friday's Sept 1 stocks report average around 1.11-1.13 billion bushels from within a range of estimates of 0.887-1.261 billion. Another ethanol plant, Biofuel Energy Corp's facility in Fairmont, Minnesota said it was taking downtime due to poor processing margins. An interesting development mid-harvest. The weekly US ethanol plant production report comes out tomorrow. Last week's production was 834,000 barrels/day versus 871,000bpd a year ago. The Rosario Grains Exchange estimated Argentina’s 2012/13 corn area at 4.0 million hectares, down 10% on last year, but considerably better than the Buenos Aires Cereals Exchange's estimate of 3.4 million and an increase also on the USDA's 3.8 million. South Korea bought 120 TMT of optional origin corn and 133 TMT of South American origin corn for February shipment. Michael Cordonnier estimated the 2012 US corn yield at 119.0bpa, unchanged from his previous estimate. Wheat: Dec 12 CBOT Wheat closed at USD8.86 1/2, down 5 1/2 cents; Dec 12 KCBT Wheat closed at USD9.11, down 2 1/4 cents; Dec 12 MGEX Wheat closed at USD9.42 1/4, down 8 1/4 cents. Funds were said to have been net sellers of around 2,000 Chicago wheat contracts on the day. An interesting development was Egypt's GASC tendering for wheat for December shipment, with the results expected tomorrow. Will Russian wheat be offered at all that far forward? And if so at what price? Whatever, it is unlikely that US wheat will win a share of the order. Algeria are also looking for 50 TMT of optional origin wheat for November shipment, whilst Taiwan seeks 50,500 MT of US wheat for November shipment. There's talk of Australia's wheat crop slipping below the 20 MMT mark, versus the USDA stubbornly stuck at 26 MMT, primarily due to drought in Western Australia. As well as Sept 1 stocks, we will also get a final estimate on 2012 US wheat production from the USDA on Friday, with trade estimates centred around 2.270 billion bushels from within a range of estimates of 2.247–2.286 billion. Sept 1 stocks are seen at 2.281 billion bushels from within a range of estimates of 2.159–2.533 billion. 25/09/12 -- EU grains closed mixed with Nov 12 London wheat down GBP0.85/tonne at GBP204.10/tonne and Nov 12 Paris wheat up EUR0.75/tonne to EUR261.25/tonne. Lack of fresh news was today's problem, with harvest pressure in the US keeping a lid on potential price rises, as the market continues to trade sideways. Nevertheless, London wheat is within sight of the recent 17-month front month closing high of GBP207.00/tonne and Paris wheat isn't too far away from a similar EUR269.25/tonne high. All things considered that isn't a bad performance, especially considering that recent customs data released last week shows that July UK wheat exports were 71% down on year ago levels at less than 34 TMT. In contrast, barley exports were up 25%. This is a very similar situation to wheat we are seeing on the Continent. EU wheat exports were down 13.3% to 2.54 MMT last week, yet barley exports are up 83.3% to 1.65 MMT. So, for London wheat to be within a few pounds of the recent highs is an impressive performance, what could it do come the spring then we ask ourselves? 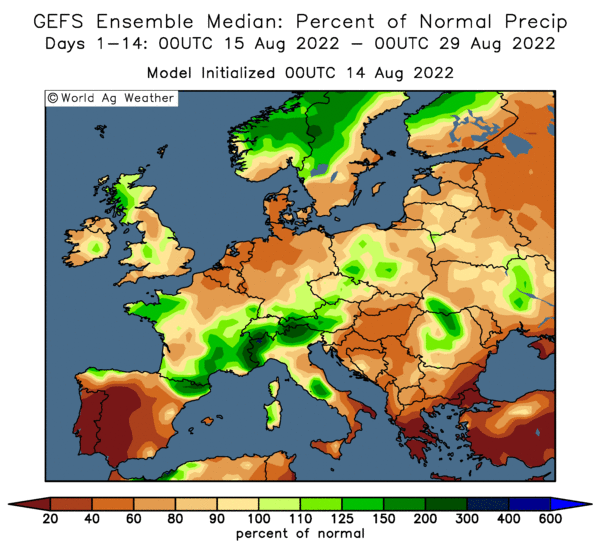 Dryness concerns as far as winter wheat plantings in the UK are concerned have eased following a month's worth of rain in the past 48 hours, say the Met Office. RAF Leeming in North Yorkshire picked up 64mm of the wet stuff in the 24 hours to 10am this morning, the wettest for September since records there began in 1945. Internal Russian wheat prices have reportedly shot up in recent weeks, with 4th grade wheat in Siberia apparently at a post-Soviet era record 11,200 roubles, according to the Vedomosti Daily. That's around GBP222/tonne or EUR279/tonne, and Siberia is a very long way from the Black Sea. Talk of some form of Russian export ban and/or tariffs persist, although it seems that if prices continue to rise at this rate (up 1,000 roubles in the past week alone) then one won't be needed. On the international front, Algeria seeks 50 TMT optional origin wheat for November shipment, whilst Iraq are tendering for 50 TMT of optional origin wheat, having bought Russian wheat in a similar tender a week ago. Taiwan also seeks 50,500 TMT of US wheat for November shipment. Some analysts now estimate Australia’s 2012/13 wheat crop at below 20.0 MMT versus ABARES estimate of 22.5 MMT and the USDA's 26.0 MMT due to dry weather in Western Australia state. In the US, wheat farms in the Southern Plains are expecting heavy, soaking rains in the coming days, say Martell Crop Projections. "The chances for rain are very favourable in Kansas, Oklahoma and West Texas the next few days. Rainfall is expected to be near 1.25 inch in the 3 top hard red winter wheat states. An unstable front is developing on a horizontal slant from southern Kansas eastward through Missouri and the Ohio River Valley. This would be the focus of on and off showers the next few days," they add. 24/09/12 -- Soycomplex: Nov 12 Soybeans closed at USD16.10, down 11 3/4 cents; Jan 13 Soybeans closed at USD16.11, down 11 cents; Oct 12 Soybean Meal closed at USD481.60, down USD2.90; Oct 12 Soybean Oil closed at 53.76, down 69 points. Fund selling was estimated at 6,000 contracts on the day. Nov beans fell through USD16/bu at one point, but at the end of the day managed to hold above that level and close within the middle of the day's trading range. Weekly export inspections were deemed disappointing at 12.119 million bushels against the expected 18-21 million. Funds dumped 8.3% of their length in the week through to Tuesday, according to Friday's commitment of traders report, and have been further sellers since. Aboive said that Brazil has exported 30 MMT of soybeans this season so far. They only have them down to ship half a million more than that in the full year. Celeres said that Brazil has sold 98% of their 2011/12 bean crop and 46% of their 2012/13 beans. After the close the USDA said that 22% of the US crop was harvested versus only 4% this time a year ago. Good/excellent ratings improved two points to 35%. 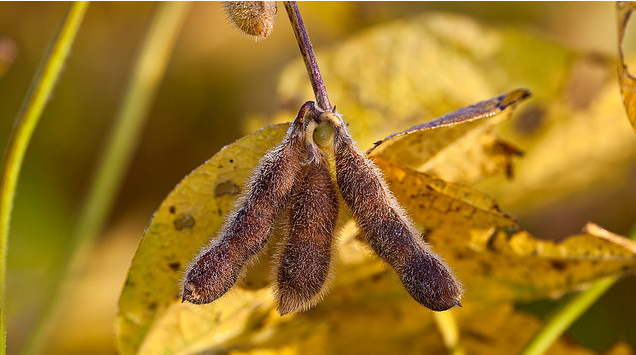 The USDA will release the Sept 1st stocks numbers on Friday, the trade is expecting soybean inventories of 132 million bushels versus 215 million last year. Corn: Dec 12 Corn closed at USD7.44 3/4, down 3 1/2 cents; Mar 13 Corn closed at USD7.48 3/4, down 2 1/4 cents. Fund selling was estimated at 6,000 corn contracts on the day. Corn export inspections of 24.231 million bushels were at the top end of trade expectations of 18-24 million. South Korea bought 65 TMT of optional origin corn for Feb shipment. The Philippines Department of Agriculture estimated their 2013 corn crop at 8.4 MMT versus the 2012 corn crop of 7.5 MMT. That may negatively impact upon corn imports, and they may even become a net exporter for the first time in any meaningful volume since 1991. The USDA placed the corn harvest at 39% done versus 13% normally. Good/excellent conditions were left unchanged at 24%. Friday's upcoming Sept 1st stocks report is expected to show corn inventories of 1.126 billion bushels versus 1.128 billion a year ago. MARS estimated the EU-27 corn yield at 6.05 MT/ha versus their previous estimate of 6.28 MT/ha and down 20.6% from a year ago. Wheat: Dec 12 CBOT Wheat closed at USD8.92, down 5 1/4 cents; Dec 12 KCBT Wheat closed at USD9.13 1/4, down 13 cents; Dec 12 MGEX Wheat closed at USD9.50 1/2, down 7 1/4 cents. Fund selling was estimated at 3,000 Chicago wheat contracts on the day. Weekly export inspections of 22.424 million bushels were in line with the expected 17-23 million. Sept 1st US all wheat stocks are estimated at 2.281 billion bushels on Friday, 14% up versus 1.999 billion a year ago. US all wheat production is estimated at 2.27 billion bushels. The USDA said that 25% of the US winter wheat crop has been planted versus 27% normally. The Ukraine Ministry estimated their 2012/13 grain crop at 46.0 MMT versus a previous estimate of 46.5 MMT and down 19% from 56.7 MMT a year ago. Exports are forecast at 20.0 MMT, down 8% from 21.794 MMT a year ago. Iraq are tendering for 50 TMT of optional origin wheat, having bought Russian wheat in a similar tender a week ago. 24/09/12 -- EU grains ended lower with Nov 12 London wheat GBP1.75/tonne easier at GBP204.65/tonne and with Nov 12 Paris wheat EUR3.25/tonne weaker at EUR260.50/tonne. Grains began the week on the defensive, as Chicago spec money seemingly decided to cut their hefty longs and look for some fun elsewhere in the past week. Ukraine said that it had exported 1.7 MMT of grains so far this month, of which almost 1 MMT was wheat, over half a million tonnes barley and almost 200 TMT corn. Their 2012/13 marketing year to date exports are now 4.7 MMT, up 63% on a year ago. Wheat exports are up 78% at 2.24 MMT, and corn shipments go off the scale at 1.3 MMT versus just 58 TMT a year ago. Kazakhstan's grain harvest is drawing to a close at 94% complete, producing a crop of 13 MMT so far with yields at 0.9 MT/ha, 43% down on last year's 1.59 MT/ha. South Korea cancelled a tender for 70 TMT of optional origin feed wheat due to high prices. Turkey bought 25 TMT of Ukrainian origin milling wheat and Iraq seeks 50 TMT of optional origin milling wheat. IKAR increased their Russian grain crop estimate to 70.0 MMT from a previous estimate of 69.0 MMT. They said that Russia has exported 7 MMT of grains so far this season and place full 2012/13 exports at 12.2 MMT including 9.5 MMT of wheat. 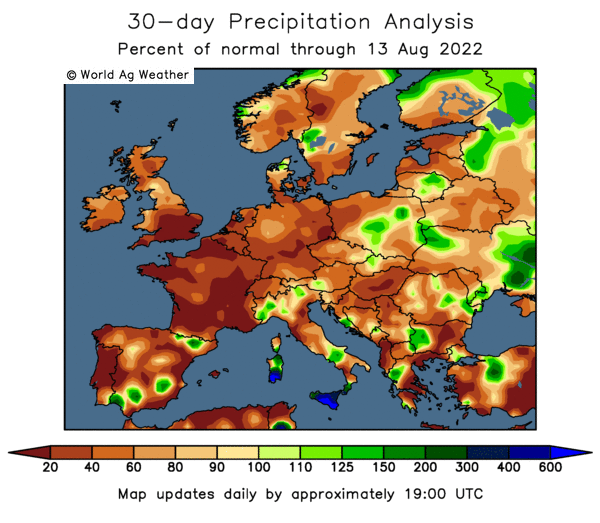 The EU Commission's MARS unit placed EU corn yields at 6.05 MT/ha versus their August estimate of 6.28 TMT/ha and down 20.6% from a year ago due to hot and dry weather. Wheat yields were pegged at 5.26 MT/ha, down 1.8% from last year, with barley yields at 4.33 MT/ha, an increase of 0.4%, and rapeseed yields at 3.02 MT/ha, a 5.6% increase. In the UK, after a difficult season, "the rain in many parts has further complicated and delayed the harvest of winter crops. Winter wheat yields in UK have been seriously revised down in line with reports from several external sources. Winter barley and rapeseed which are harvested before wheat, apparently fared better despite the difficult conditions," they said. UK wheat yields were placed at 7.35 MT/ha, down more than 5% on last season and the 5-year average, but above the HGCA's assessment of last week. 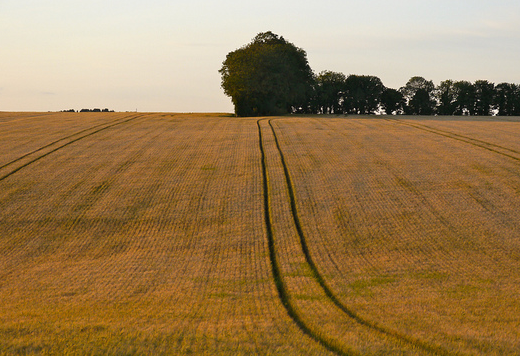 Barley yields were estimated at 5.72 MT/ha and rapeseed yields at 3.48 MT/ha. 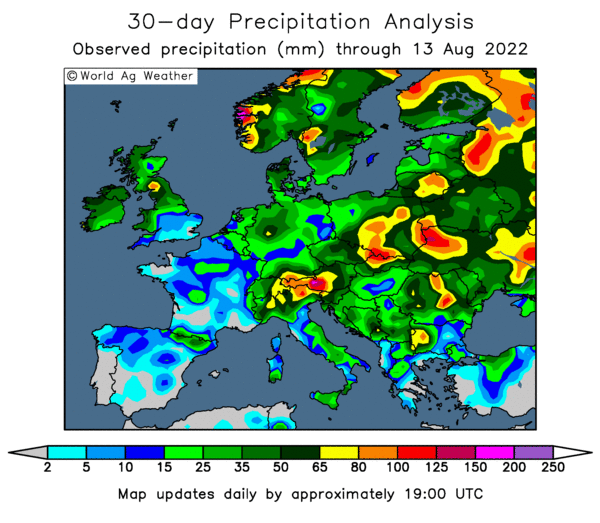 Toepfer have apparently cut their UK wheat production estimate to 13.8 MMT today, which would fall into line with the HGCA's indicated 6.9 MT/ha "low end" yield estimate of last week off 2 million ha of planted area. 24/09/12 -- The overnight grains are weaker, led by soybeans in early doors trade Monday morning. In fact as I type (at 7.30am shock, horror) front month Nov 12 beans are 21 3/4 cents easier at exactly USD16/bu. They haven't closed below that level since early July. Corn and wheat are down a bit more modestly. Informa's revised acreage estimates released Friday, based on the latest survey information from the Farm Service Agency, suggests a higher planted area for both soybeans and corn than previously thought (and larger than the numbers that the USDA is currently using). Even so, soybean production in the US isn't forecast a lot higher at 2.662 billion bushels versus the USDA's 2.634 billion. Corn output does look a fair bit healthier though at 11.093 billion bushels against 10.727 billion from the USDA. Informa also released their first thoughts on potential US plantings for 2013, putting the soybean area at an all time high just shy of 80 million acres, and with corn plantings seen exceeding this year's (also re-appraised and increased based on FSA information) 75-year high at 97.537 million acres. There is also of course, potential record soybean output to come from just about every country in South America in 2013 (assuming that a small thing like the weather plays ball). The latest Commitment of Traders report from the CFTC shows funds cutting their net longs in corn, soybeans and wheat in the week through to last Tuesday. When the funds are selling the market usually only goes one way. In fact, a bit of research done for a presentation to the Bristol Corn & Feed Trade Association last Tuesday shows that every time funds were net sellers of either soybeans or corn between Aug 1 and Sep 14 the benchmark Dec 12 corn/Nov 12 soybean contract closed lower. Not that fund activity influences the market of course, that would be a ludicrous suggestion, and one you should be ashamed of yourself for even contemplating. For every seller there must be a buyer, and vice-versa, that's the argument that the CME, the CFTC and numerous others put forward anyway. So it must just be a coincidence that the market closes lower every time the funds are net sellers. 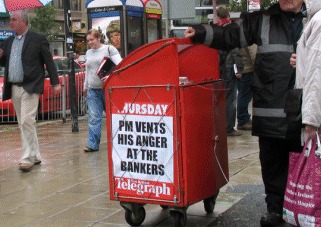 What did the market do every time that the funds were net buyers between Aug 1 and Sep 14 then? Would you like to take a guess? Yes, siree, every single time that they were increasing their long between those two dates the market closed higher. Not just most of the time either, every single time. Of course there must have been days there when they were neither net buyers or net sellers, what happened then, I hear you idly ponder over your morning cuppa. Yes there were two: Aug 17 when funds were even on corn on the day and the Dec 12 contract closed 1/4 cent lower, and Sep 6 when fund activity was even on soybeans and Nov 12 finished half a cent lower. 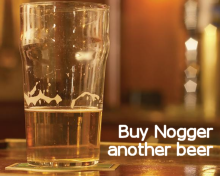 Bugger me rigid, it would seem that whenever funds are sellers then that the market comes down, whenever they are buyers it goes up, and when they do nothing it's unchanged. It's as simple as that? That's right, grasshopper. As of last Tuesday "managed money" as they call it still held a net long of 270,162 corn contracts, 209,875 soybean contracts and 60,541 wheat contracts. Out of interest, in the case of soybeans nearly 210,000 contracts equates to a net long of around 28.5 million tonnes, or almost 40% of all US soybean production this year. And that's their reduced short as of last Tuesday, prior to that their net long was even larger.